As my regular dear cuddly readers will already know I have a collection of Naughty Dog pictures which I release from time to time when I feel like it. So today I felt like releasing one. 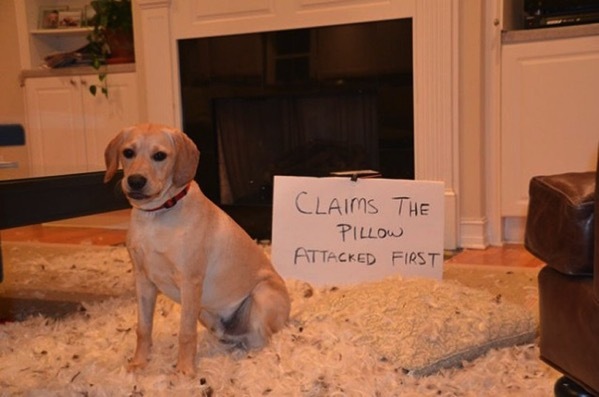 See that’s what’s wrong with dogs, their stories have more holes than a, well this pillow! You’d never catch a Cat telling such a weak story. Actually I wanted to stop when I wrote, ‘You’d never catch a Cat,’ you have to agree it sounded right somehow.